As I reflect on week two in the field, all I can think about is the constant smiles that fill my day. Every smile has a story, so I have been trying to dig deep into the stories of the people in the villages I visit. I am almost certain that Ugandans have a “smiling class” in school because they have definitely mastered the art. They give me chills, give me hope and give me a warm feeling as they welcome me into their nooks of the world. If I walk away with anything from this experience it is to smile a little more and mean it. Meet some of the wonderful people I have shared this world with for the past two weeks. Photos cannot do their personalities justice but hopefully you can catch a glimpse of their stories and what makes them happy. Alele Ronald is a 12 year old boy from the Acanata Village whose favorite subject in his grade 7 classroom is social studies. One day he wants to be a driver for tourists and show them his country. He loves school, playing soccer and taking care of his animals. 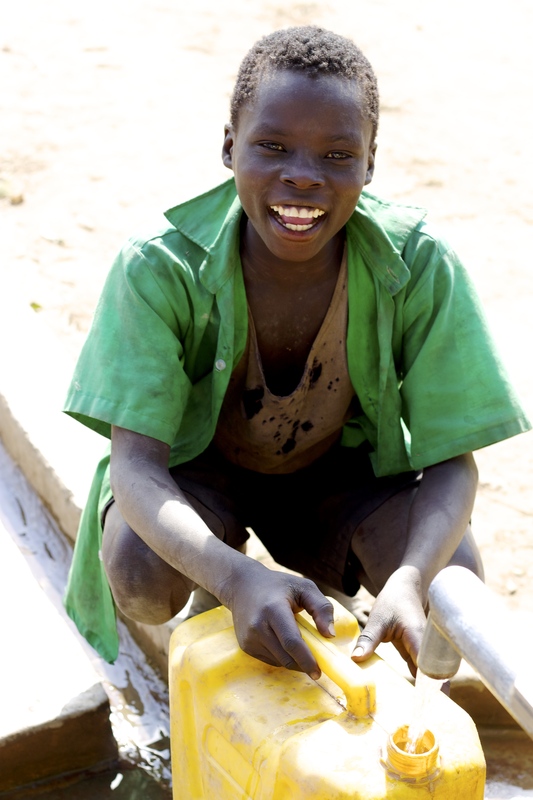 I met Alele Ronald when he jumped into our truck eager to show us to the water well. His personality was magnetic and I have every hope in the world that he reaches his goals! 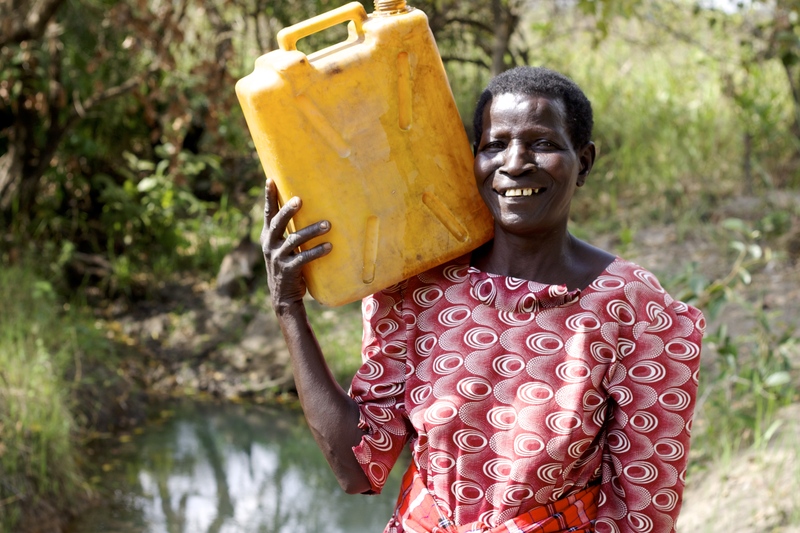 Jenty Samuel Ogoli is a mother, grandmother and leader in the Omanabunga Village. She moved to her village 40 years ago after getting married. He proudest moments are when she can provide clean water for the babies of the village. 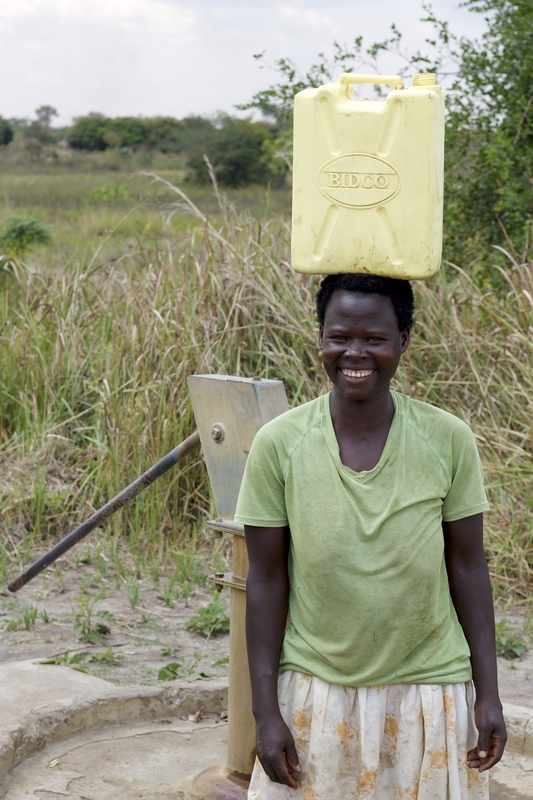 Her water point was down for maintenance and her community was collecting from a nearby ground well. I asked her if they boiled the water before drinking and she said no. I was very sad and she replied to my sadness by saying that they were very grateful to have any water to drink because many people across the world do not even have access to any water. She definitely knows how to look at the silver lining and I am very happy to be sending information back to charity: water that will essentially help their village get clean water again. Adongo Massy is a 15 year old girl with big dreams from the Apipit Village. She is currently thriving at the local primary school and hopes to continue schooling to become a nurse. She wants to help the elderly overcome sickness. 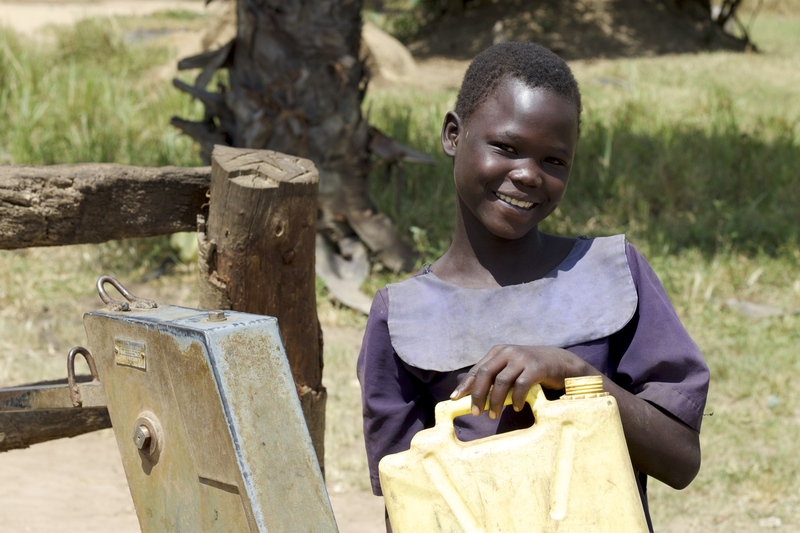 She wants to work in Lira Town or another village because her village has clean water meaning that people are not falling sick. She is very thankful for the clean water her village receives because it allows her time to go to school and reach her goals. 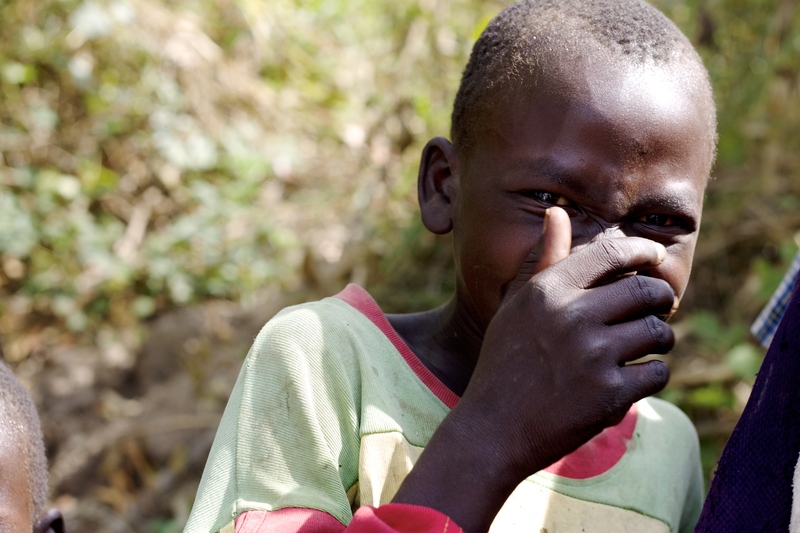 Bosco Owino is a proud member of the Teobwolo Village. Because of the clean water in his village he spends less time retrieving water and more time with his kids and community. He now has time to go to general consul meetings and has recently taken a position on his village’s committee. He loves being able to set a positive example for his children and community. This grandmother of the Aweo Vilage was very excited to show me to her village’s water well because of how greatly maintained it was. She explained how they take very good care of the pump, making sure not too pump to fast or overuse the pump. She could not tell me enough time how happy and healthy everyone in her village was. 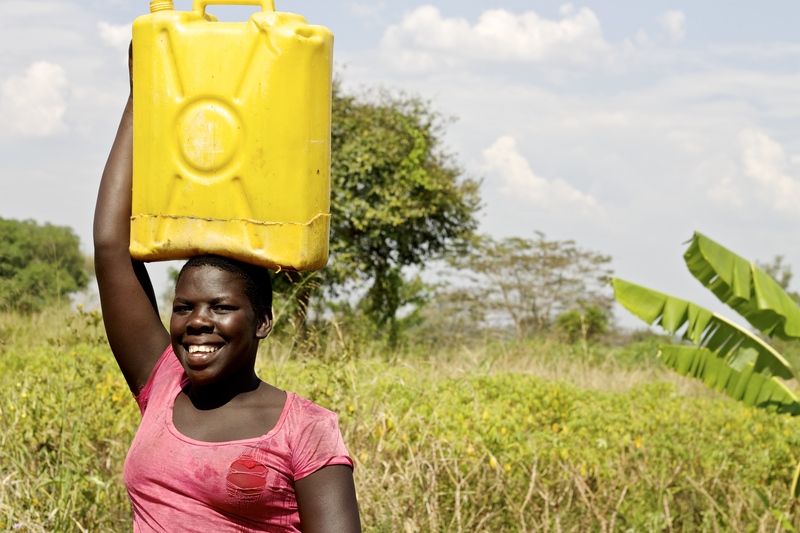 The Aweo Village is proactively planning for the future by collecting 500 Ugandan Shillings from each household a month to cover any possible repairs the pump may need. Anna Peter Opio is the proud mother of her son Okello Fredrick. She is able to give her baby clean water to drink and she can properly bathe him. She explained how hard it is to try to raise a healthy baby without clean water. Anna also explained how their village loves hosting community gatherings because they are able to cook a lot for everyone due to access to clean water. Ongora Moses is a 19 year old stone and brick mason from the Apipit Village. He explained that access to clean water was not only about drinking; he uses the nearby water to mix his mortar to make bricks. 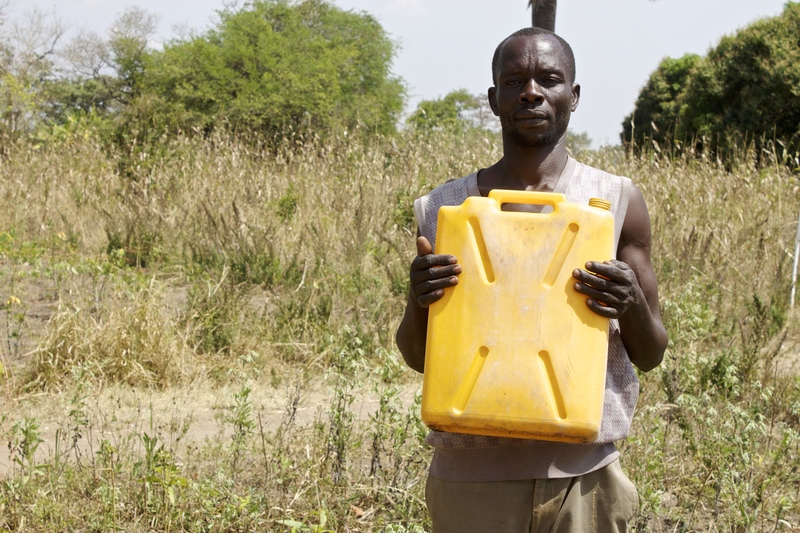 He said his production is so much higher because he does not have to walk far distances to get his water for mixing. This has helped him sell more bricks and be able to build more infrastructure in his village. 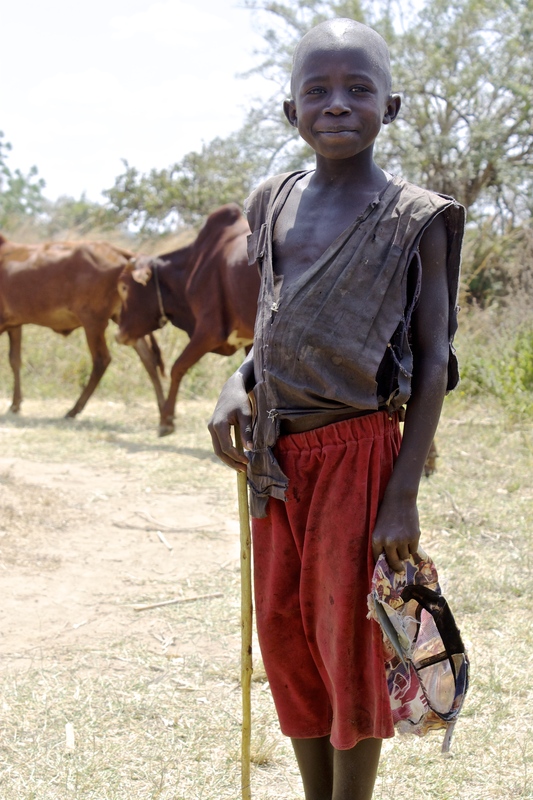 This shepard boy was very proud of his cattle and was very curious why I was in his village. 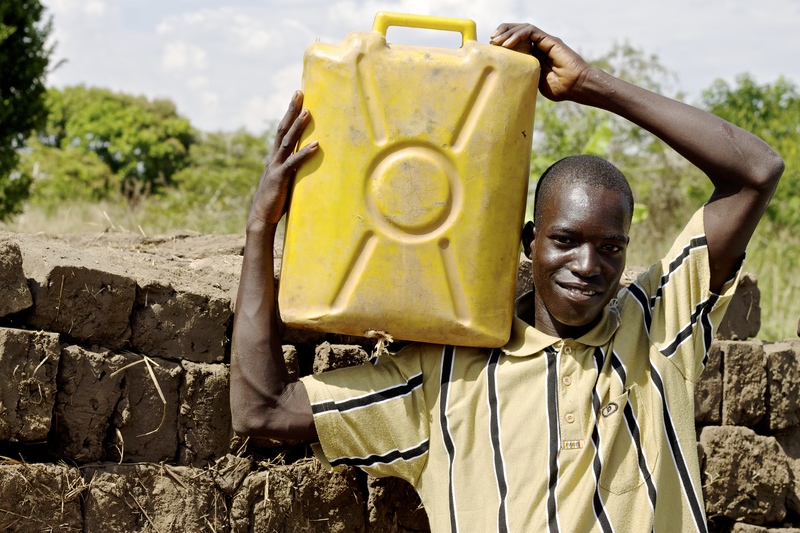 I explained that I was there to report on their water source and he just smiled. Very subtly but very powerful. I like this kid. Laughter is the universal language. 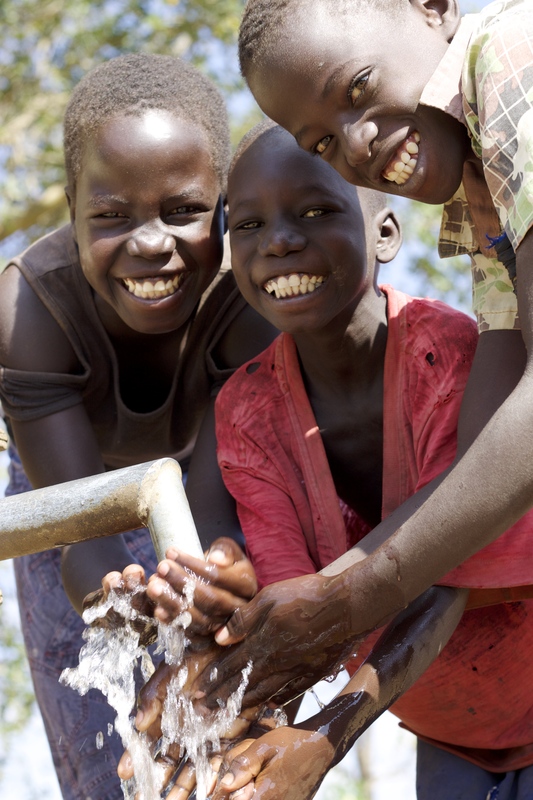 These three spend less time fetching water and more time studying in school. And more time playing and being kids of course. I cannot get over how infectious their smiles are. 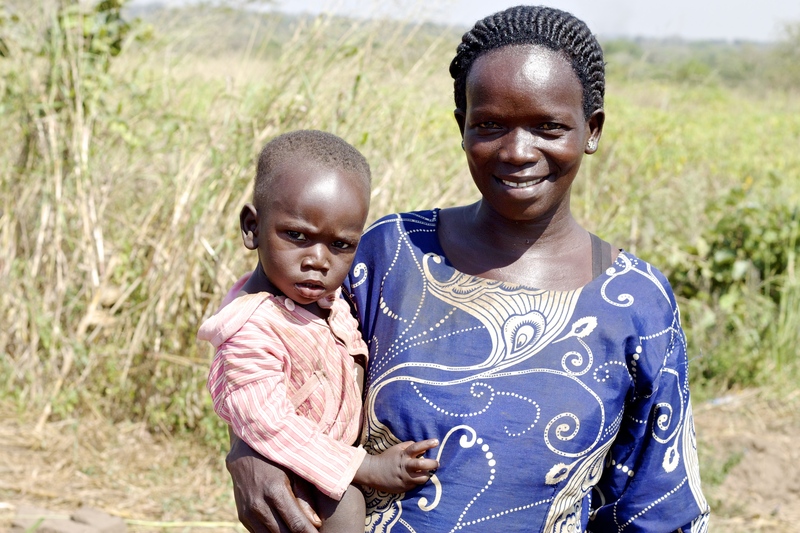 Mothers in the villages take pride in being the care takers of their children. 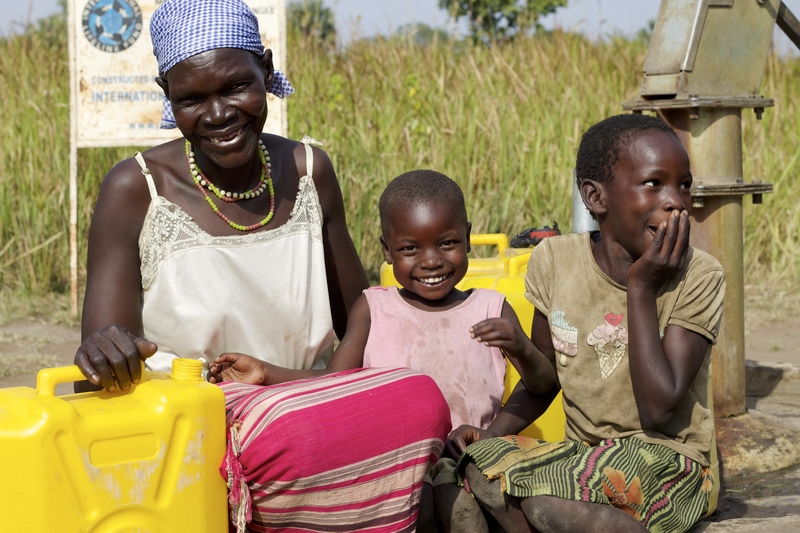 I think this goes without saying but she is very proud to be giving her daughters clean and safe drinking water. She is unbelievably strong and balanced. This is the standard way women and children carry water or anything for that matter. It looks as if it would be grueling to carry a 40 pound jerry can full of water on your head, but they insist that you get used to it. The balance and discipline this skill takes is unbelievable. Before I leave I want to master this but I have a long way to go. She has a bright future with many great things in store. She has a radiant smile with an even brighter personality. I am very proud of her. This little guy is a stud. 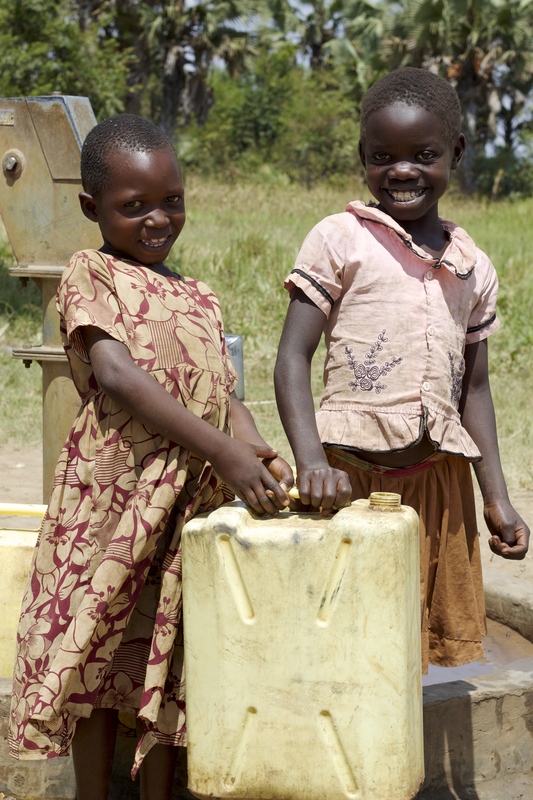 These two sisters will spend less time carrying water and more time doing their girly stuff due to the fact they have clean water accessible close to their village. Before this water pump, this village would walk over 1km to fetch clean water. 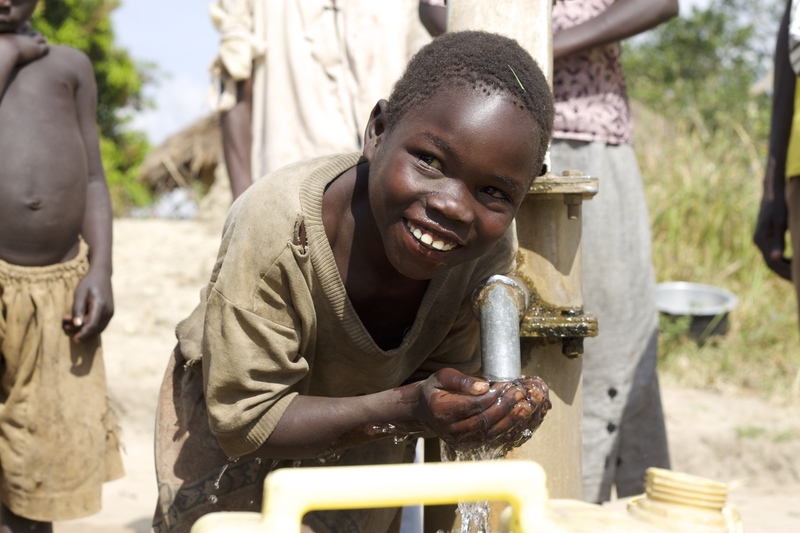 I hope you caught a glimpse of why clean water is so important to so many people around the world. It is a basic necessity that many people take for granted every day but millions of others gain so much excitement and hope from receiving this simple need. 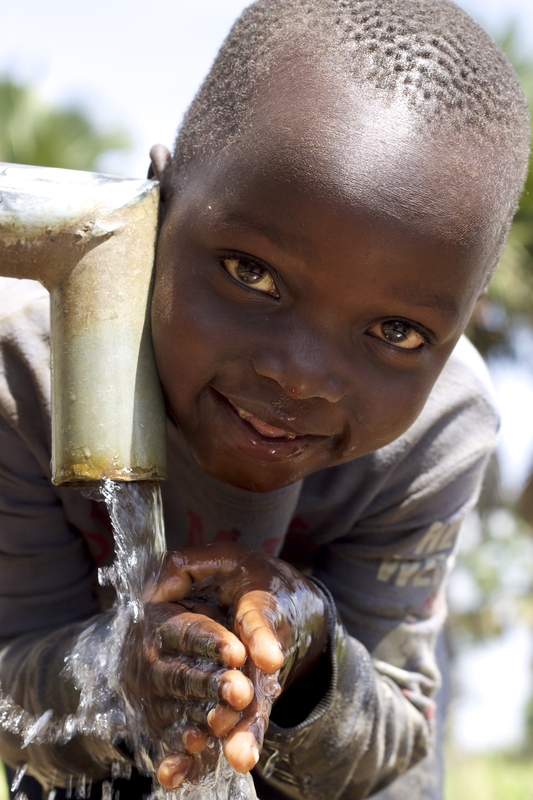 Check out charity: water to learn more about their work and how they are helping solve the water crisis. Until next time, I challenge you to smile more, appreciate the next glass of cool water you drink, and try to find a cause you are passionate about and start taking action to help it. 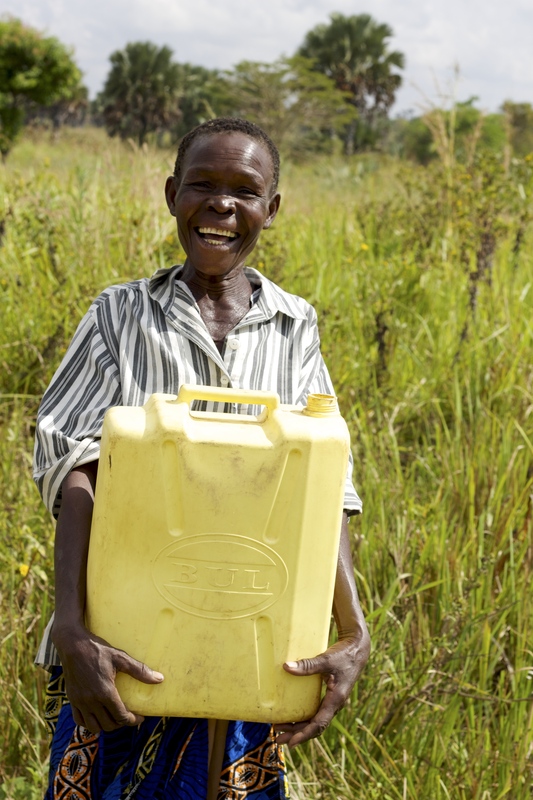 Cheers to clean water!